The series One Hundred Ghost Tales reflects an Edo custom of telling ghost tales in the dark. 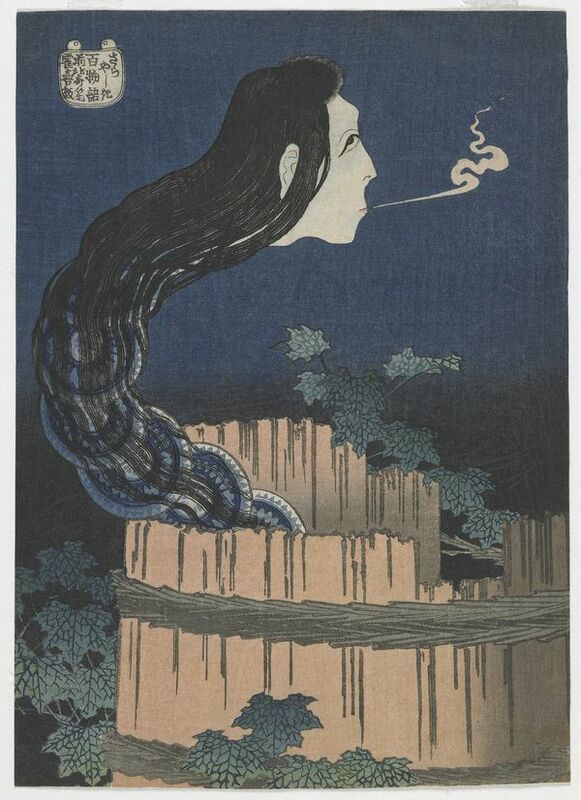 Here, a woman's head with a neck of dishes represents the ghost of Okiku, whose master threw her into a well because she had broken his favorite dish. At night the sound of smashing porcelain and a voice counting "one, two, three…" emanated from the well.